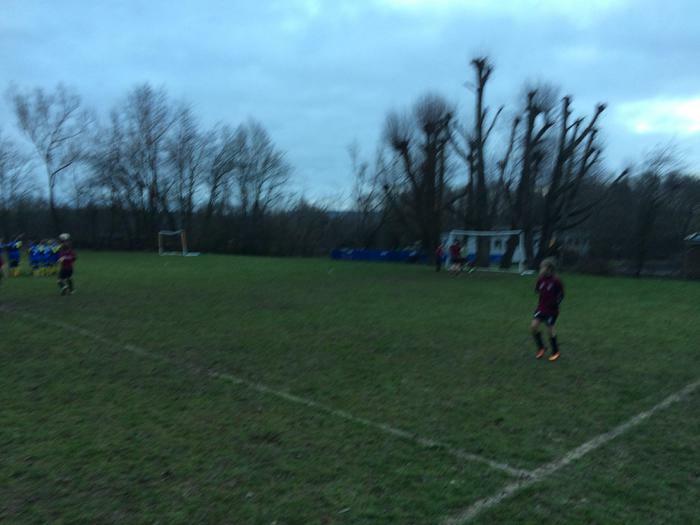 On Monday 16th January, our Y5/6 football team travelled to St Theresa's for their first football friendly of the year, having football club during Terms 1 and 2. We started really well, creating many chances but not really getting much behind our initial shots. Once we managed to break the deadlock, however, the team grew in confidence and managed to score some lovely goals. The first half ended with Challock 4-1 up, racing into a 4-0 lead with Zach scoring 3 and Noah getting his first Challock goal. St Theresa's showed how deadly they could be when they got behind our defence by a well-taken goal just before the half. This meant that Challock needed to start the second half well and get the next goal, or risk St Theresa's mounting a comeback - this Challock did, and we went on to the finish extremely strongly, with further goals coming from Tommy, Noah and Joshua. It must be said that the team played really well together, especially considering this is the first time they've come together this season. They used their eyes to look up and deliver balls to their teammates, counter-attacking swiftly to get in behind St Theresa's and put pressure on their goalie, who, in all fairness, had a fantastic game. Harry A played strongly in goal in the first half before swapping places with captain Fred. Fred and Elliott were excellent in defence, helped by Oliver and Puck who both worked up and down the wing relentlessly. Ben and Noah, both Y5, looked incredibly comfortable on the ball, creating smooth attacks and fitting in with the Y6s well. Tommy, Josh and Zach all looked threatening in front of the goal, and so this proved, moving around the St Theresa's defence and putting away chances in the second half well. We're aiming to play Lady Joanna Thornhill's team in the next few weeks, so a big test for the team coming up.